This family florist is near and dear to my heart! The Murphey's have been wonderful friends for many years now and I was thrilled when contacted about a surprise logo design. The Murphey boys. 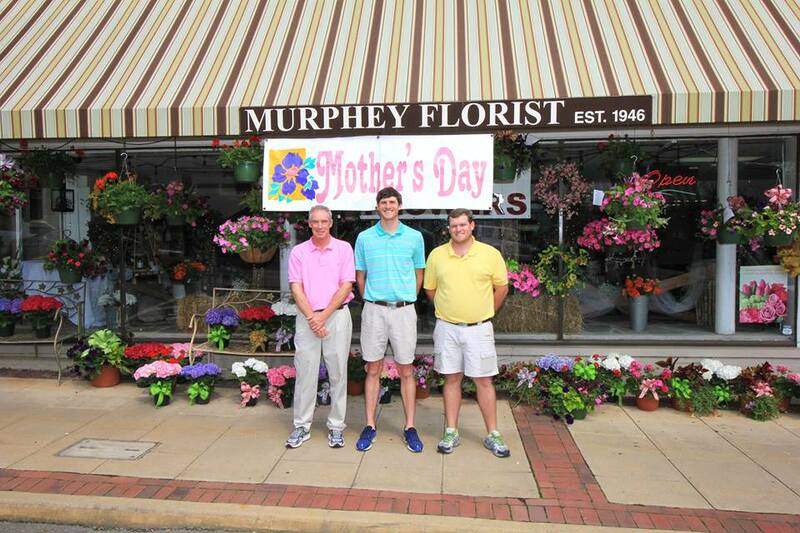 Hutch Murphey, Sr., Mac Murphey, & Hutch Murphey, Jr. outside of Murphey Florist in Downtown Newnan. Arthur Murphey Florist is family owned and operated, located in Newnan, Georgia and established in 1946. These folks know how to best create beautiful arrangements for any occasion. When brainstorming this surprise logo design with the Murphey's daughter-in-law, Abbie, we knew that a classic and timeless look was our route. I loved getting to design the new Murphey Florist logo for such a sweet family-owned business and I know all of the florist family was thrilled with their thoughtful surprise. Check out some of their amazing work below! For more information about Arthur Murphey Florist, Click Here!